THE GUNTHER GANG: Kissin' Cousins. 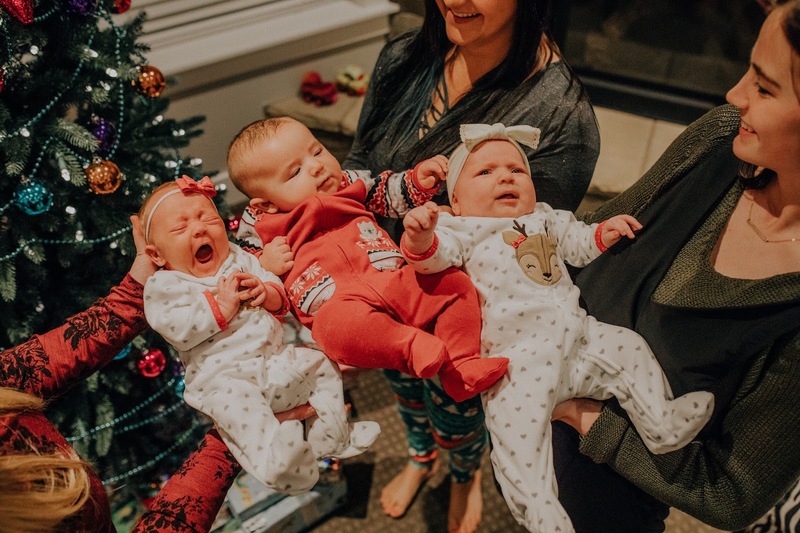 We had a family Christmas party last night and for the first time since they were all born, we got the three babies together! 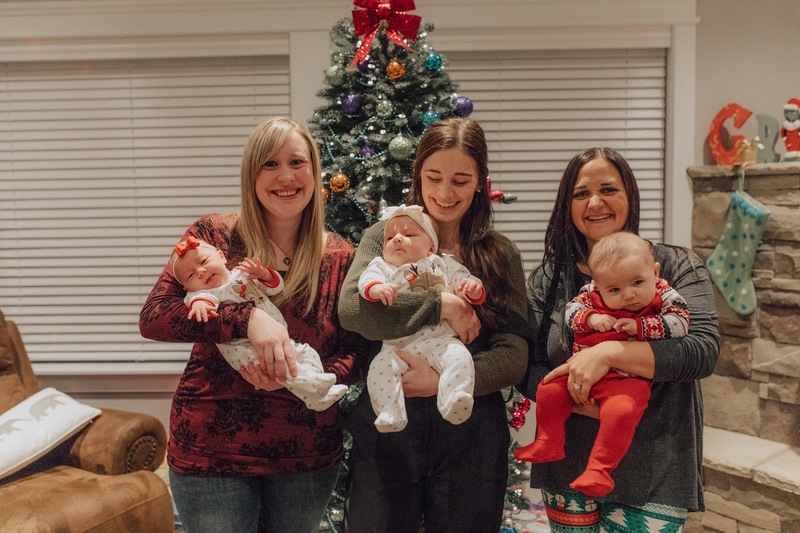 It's still so insane to me that all of us got pregnant and had our babies within three-ish months of each other. We couldn't have timed it better if we'd been planning on it! 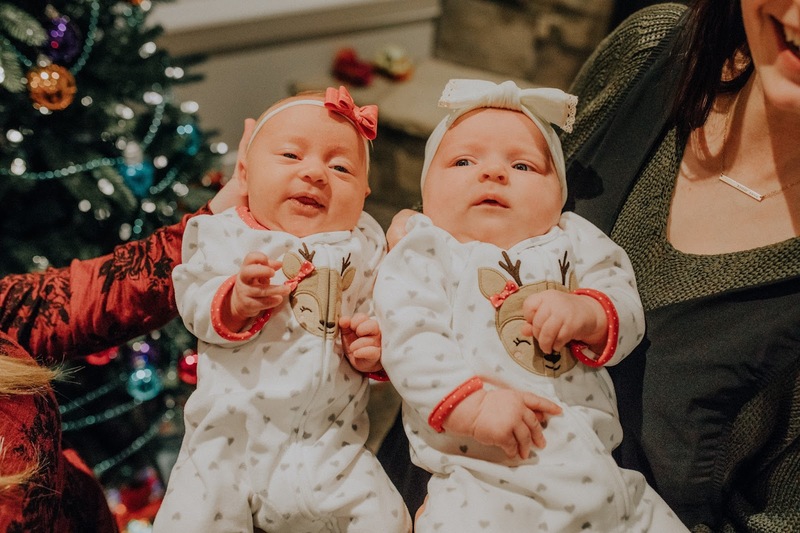 How fun will it be to watch these babies grow together? 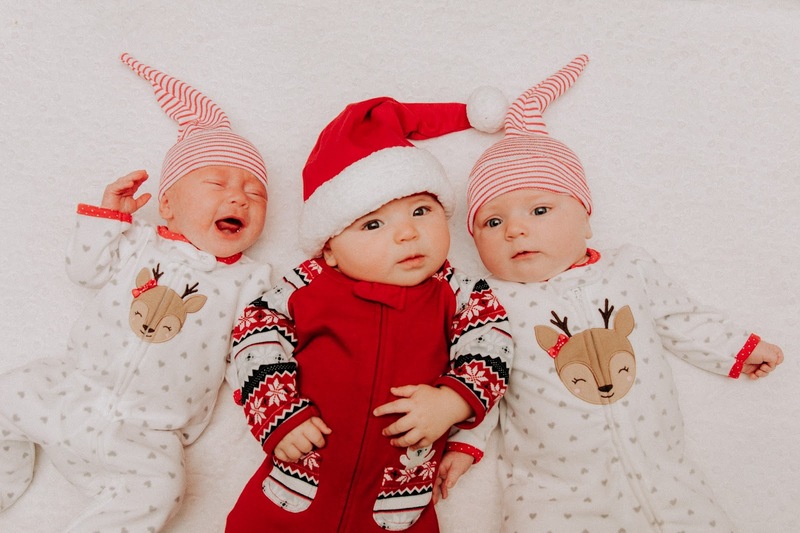 The more babies, the merrier (especially when we dress them up as Santa and his elves). 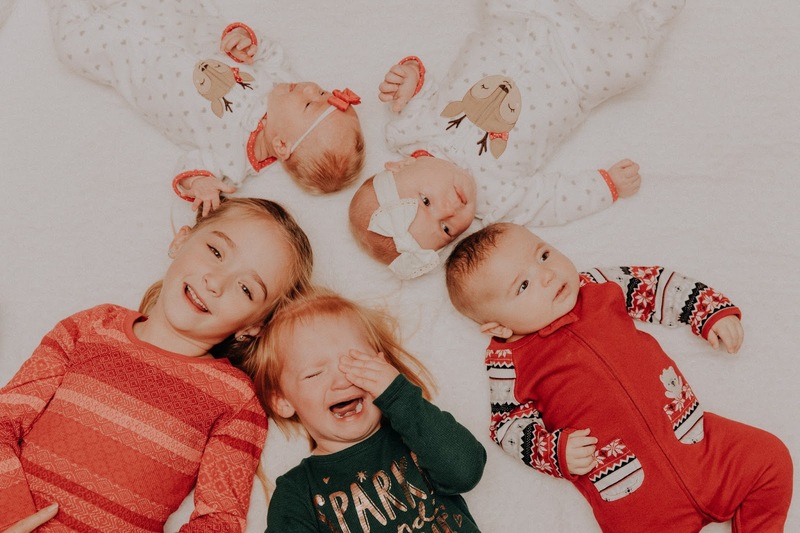 After we snagged a photo of just the babies together, we rounded up ALL of the grandkids and snapped a photos of the whole Gunther cousin gang together. 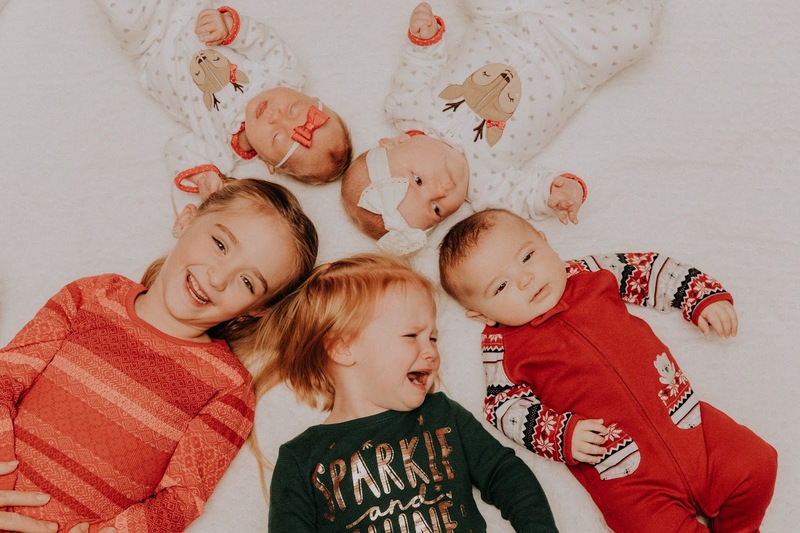 It was utter chaos trying to tame five little ones all at once-- clearly we only partially succeeded (note Dallas screaming as if we're torturing her in both shots). The thing I kept thinking to myself was, "Oh, next year, next year is going to be the best kind of crazy." 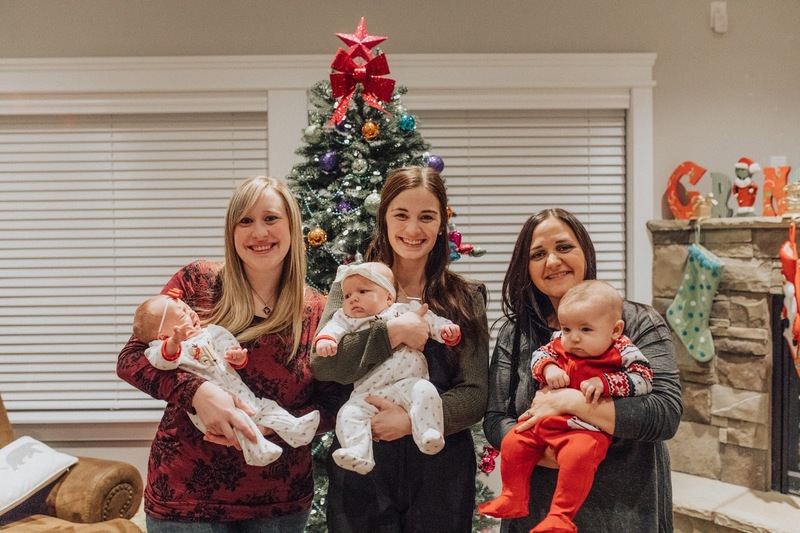 We have one more sister in law who's expecting a little boy this coming May-- by next year there will be six grandkids on this side of the family and a whole lot of chaos! But we wouldn't have it any other way. Life with Billie Rose has been so much fun for us. She makes our world a happier place.